FIXD Reviews – Does FIXD car really work? Ever heard of onboard computer systems that could tell what was wrong with your truck or car? Well, that’s what on-board Diagnostic II system scanners are. They are standardized devices that are used for self-diagnostics and reporting whatever is going on with your vehicle. That’s to say that one device can perform periodic tests on each component on your vehicle and monitor and regulates emissions at the same time. In short, OBD II scanners tell you about the health of your vehicle by using reliable codes and fixes to cover up most car problems. Gone are the days when you had to use tape to cover up the check-engine light that can be quite annoying. OBD II systems diagnose that problem and fix it. One particular apex scanner has our attention — the FIXD OBD-II scanner. We need to know why car enthusiasts are going crazy about it. So let’s get down to business. 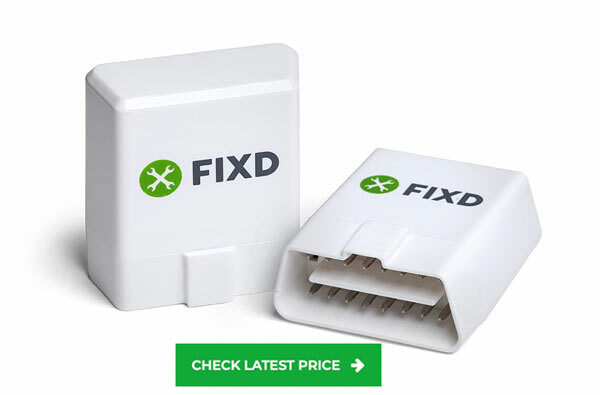 FIXD is an OBD second-generation scanner that’s a harmonious combination of an app and a car sensor gadget that is used to diagnose the problems with your vehicle. Some car enthusiasts say refer to it as a hardware-software combo. It was founded by Georgia Tech students, Rachel Ford, and John Gattuso. On September 18, 2014, FIXD Automotive Inc. was filed as Delaware Corporation with its headquarters in Atlanta. After FIXD performs a thorough diagnosis of your vehicle, the gadget displays a report on the status of your vehicle and gives suggestions on how you can fix it. A notable feature is that FIXD translates error codes into understandable terms. You no longer have to deal with technical jargon or get confused when the check engine light comes on as FIXD OBD-2 scanner will tell you what to do. FIXD also offers more information on when you need to schedule for a car maintenance service. 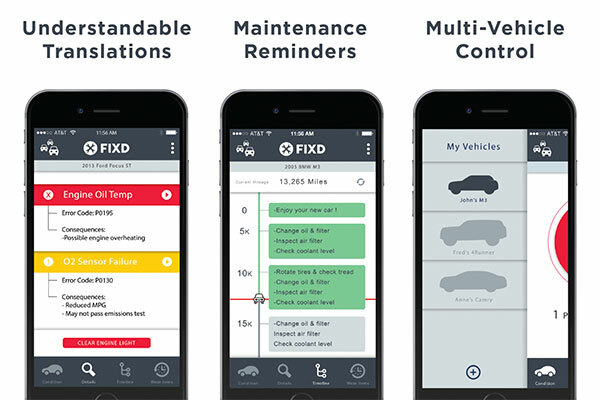 Ideally, FIXD transforms your vehicle into a smart car. 2. How does FIXD Work? Just underneath the steering wheel, you will find an OBD-II port. That’s the car’s diagnostic port where you plug in your FIXED sensor. 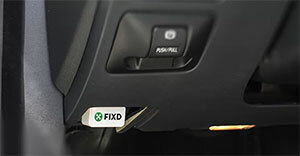 Then after downloading the FIXD app, connect the car sensor to your smartphone via Bluetooth. The app can be downloaded from either Google Play or the Apple App Store. The hardware sources the information from your car and feeds it to your smartphone. The sensor zeros in on the problem, displays the information on your smartphone and you can then give the data to your mechanic to fix the problem. To make the device more alluring, FIXD sensor is powered by your car, so you never have to recharge the sensor. To better understand FIXD, how about we take an up-close look into the product. The FIXD OBD-II, second-generation scan tool, is made by ASE Certified Mechanics and professional engineers in the United States. It is made up of 2 components, which is the FIXD app and the FIXD scanner. To get it started, plug in the FIXD scanner to the OBD port and fire up the application on your phone. The phone’s display is directly proportional to the display of the scanner. Having a larger screen means that you will display a wider area. The sensor only works as long as the engine is running. With the help of the FIXD app, you can finally know what it means when the check engine light comes on. The Scanner essentially acts as the intermediary between your vehicle and your smartphone. It syncs data wirelessly to your smartphone and decodes the errors to give you a description of what could be the problem with your vehicle. The scanner reads and clears the annoying check engine light error and displays permanent, pending or stores codes within your car. You get about 2 to 3 sentences defining the error. The information is displayed in a way that an average driver can understand. You also get live data on the condition of your fuel pressure, RPM, Mass Air Flow, airbag transmission problems, tire pressure and 7000 other car problems displayed directly to your phone. The data is either displayed as a graph, numerical value or a gauge. For your convenience, the application is designed with freeze frame technology that lets you get a better picture of when a trouble code was spotted. Additionally, you can also check on the level of wear and tear of your ride as the device also displays the battery life, condition of windshield wipers and tire tread. 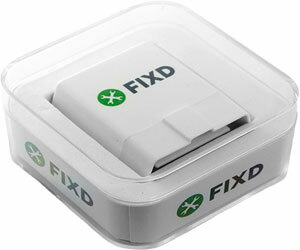 FIXD features real-time error detection. That means that you get an alert as soon as a problem develops. It also features a mileage detection feature that sets out an algorithm to determine the mileage interval for essential service maintenance. This device goes the extra mile by providing links to the nearest local mechanic and AutoZone where you can get spare parts. What’s more, is that for each issue you also get a bunch of helpful instructional and resourceful videos that describe the problem and guide you on the solution. The app can connect to multiple devices on different vehicles and track their progress at the same time. This FIXD model is compatible with cars manufactured in 1996 and beyond. 7. What are customers saying? FIXD is a scanner that is ahead of its time. It offers a solution to car problems that everyone goes through but only a few have the needed spatial ability, or tech know how to understand and fix them. You get a smart device that translates all that tech jargon into simple terms without breaking your bank. Each problem is given a unique alert and a color based on the severity of the problem. The sensor tool is easy to install, takes less than a minute, and it also helps you cut down on diagnostics costs done by a mechanic’s computer system. Since it requires a little amount of power to run, there is no harm to your car battery when you leave it in your vehicle. The bottom line is, if you need a tool that lets you know when to go for oil changes and maintenance then FIXD is the right scanner for you. Do you leave FIXD plugged in all the time? Can FIXD be used on multiple cars? How can you benefit from FIXD? Does FIXD offer a money back guarantee? Will FIXD work on diesel? What car problems can FIXD identify? >What year cars does FIXD work with? Yes, you can leave it plugged in, but it depends on the period. FIXD doesn’t drain your battery power especially after the communication with the FIXD app is cut off. However, if your car is sitting idle for more than two weeks, then it’s better to unplug the sensor to preserve your battery life. Remember that the FIXD sensor relies on your car’s battery to power up and if left for a long time it may strain the battery. Yes, it does work. 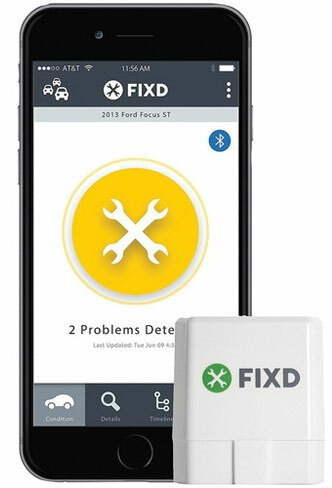 FIXD is a tried and tested tool that makes sense of what it means when a check engine light comes on. It is also a maintenance-friendly tool that lets you know when to go for an oil change and to get scheduled maintenance on worn of parts of your car. FIXD is however not a substitute or a mechanic. You still need to call a mechanic to fix an underlying problem that a tutorial couldn’t help you get through. Why do you need the sensor when you still have to go to a mechanic? Simply because the sensor catches a problem way before the situation gets worse. FIXD indicates the severity of the problem by assigning a unique color to each alert. The app gives you a video tutorial on how to fix the problem, and if it’s not a DIY case, the price estimator gives you the cost of fixing the problem at your nearest mechanic. FIXD sensor also saves you on hundreds of bucks spent on diagnosing the problem at the mechanic. It also gives you peace of mind knowing that the check engine light is not that severe. You also get the error codes translated into simple terms that you can understand. FIXD can connect up to 5 cars. Simply buy multiple sensors for each vehicle and link them all to one smartphone. With this innovative technology, you can monitor all your family member’s cars and have peace of mind knowing that they are safe. Yes, it does. FIXD offers you a 30-day money back guarantee. The FIXD OBD-II, second-generation scan tool, is also covered by a one-year warranty. If the device doesn’t work, don’t hesitate to call customer service and demand for a refund. Nope. This is not a product for cars run on diesel. FIXD only works on hybrid cars or vehicles powered by gas. According to the company, FIXD can identify about 7000 car problems that may cause the check engine light to pop up. The app can list out the major issues affecting your car like a failure of your O2 sensor or high temperatures in the engine oil. Additionally, the app features a button that lets you clear the check engine light which can get annoying if it goes on for too long. You can also clear other dashboard lights that are insignificant like the Airbag and maintenance and stability control. 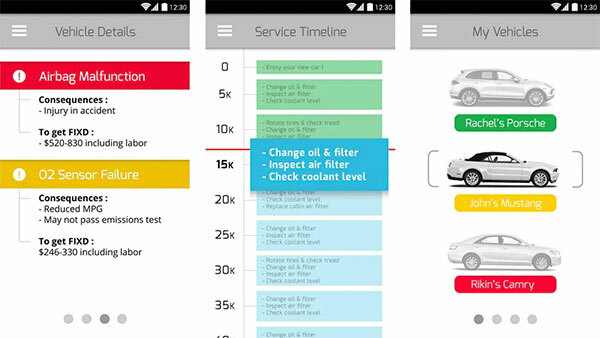 The app tells you what issues should be brought to a mechanic’s attention. It also shows you video tutorials for minor problems that you can handle fixing at home. What year cars does FIXD work with? FIXD works on hybrid cars, cars that run on gas and vehicles manufactured in 1996 and beyond. FIXD only works on cars that have OBD-II ports. OBD-II standard was only implemented for cars in the United States manufactured after 1996, and that’s why our device is only limited to those year cars. The OBD-II port is located somewhere around or under your steering wheel or glove box. The FIXD Maintenance club is a service intended at providing better customer support. Say the FIXD sensor detected an issue and you had to take your vehicle to the mechanic since you don’t have the parts to fix it. You can send the information to the FIXD Maintenance Club via the app, and the company will send you the parts to fix the problem yourself. You can also get a regular maintenance kit from the FIXD Maintenance Club according to your scheduled maintenance interval. You determine what gets included in the box. Club membership is free, but you are charged for the extra parts that are shipped in the maintenance kit. Rachel Ford and John Gattuso invented FIXD. A team of innovative students from the Georgia Institute of Technology. Reintroduce yourself to your car by getting the FIXD OBD II system that actually knows your car better than you do. You don’t have to panic and waste money every time the check engine light pops up. Sit back and let FIXD handle the problem and as you do it, you can educate yourself on your cars wellbeing from the app. You never know, it may turn you into a car guru.